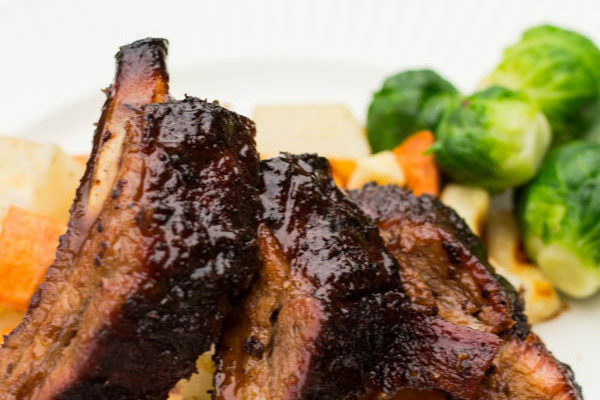 This is our final recipe in our “fruit-a-palooza” series. We have been giving you ways to incorporate fruit into your recipes for the past several posts. Make sure to read through to the end of this post because we have a fabulous giveaway for you to enter to win a Harry and David’s gift basket! 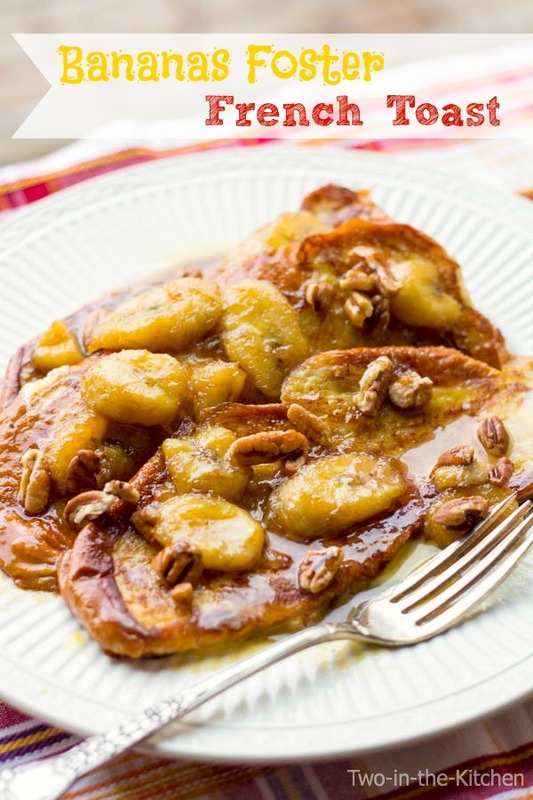 So far we have done a recipe for Bananas Foster French Toast, Asian Chicken Wonton Salad with Clementines, Blueberry Lemon Bundt Cake, Berries for Breakfast; Two Ways and now we end our series where we left off. With Bananas! These Banana Cream Pudding Parfaits were inspired once again by a dessert that I enjoyed at a restaurant where my husband and I used to wait tables called Pappadeaux. They had this delicious banana pudding in Ball mason jars that I absolutely loved. Ever since that restaurant closed, I have craved this dessert every so often. Recently I thought how easy it would be to replicate these delicious little treats! So these parfaits start with Ball Mason jars into which I layered instant french vanilla pudding with banana slices. Now here is where I differed from my inspiration puddings because instead of using Nilla wafers, I used Pepperidge Farm Chessmen cookies. I think they are so cute sticking out of the top of the jars to give a little hint that more will be found inside! Finally, I think I really improved the original recipe by including several layers of cream cheese filling! 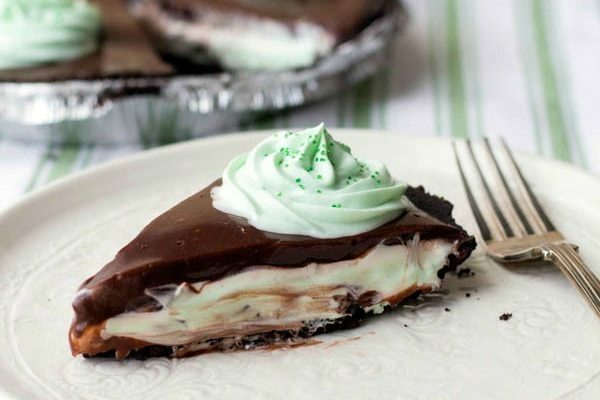 Oh my goodness, does this creamy, sweet component really send this dessert over the top!! 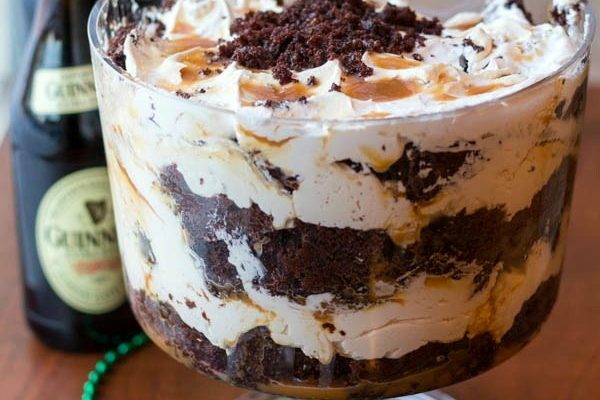 After sitting in the refrigerator for a while, all the flavors just marry together to form one decadent and delicious dessert! We hope you have enjoyed our fruit series and that it has inspired you to incorporate fresh fruit into your dishes during these beautiful spring weeks! The Giveaway runs until April 8th, 5:00pm Central Time at which point a winner will be chosen. The winner will be notified and must respond within 48 hours or a new winner will be chosen. Contest is open to those who are 18 or older and are U.S. citizens. Prepare the cream filling by placing the cream cheese in a medium mixing bowl and mixing it at medium speed until smooth. Add the milk and powdered sugar and blend until smooth. Carefully fold in the cool whip until well blended. Cover and store in the refrigerator until ready to assemble the parfaits. Make the instant pudding according to package directions and place aside. Slice up the bananas into 1/2 inch slices. Into the bottom of each mason jar, place the pieces of one cookie that you have broken by hand. ( Err on the side of larger pieces of cookie when breaking them up instead of crumbs) Place a few pieces of banana in each jar. Drop two spoonfuls of cream cheese filling and then two spoonfuls of pudding. Repeat this process two more times only this time break up two cookies per jar for each layer, making sure to save 4 cookies to display on the top of each jar. The top of the jars should end with the cream cheese mixture. Screw the lids on the jars and store in the refrigerator until ready to serve. What a perfect a perfect spring treat! I love that you made it with Chessman cookies! Great idea – thanks for sharing! 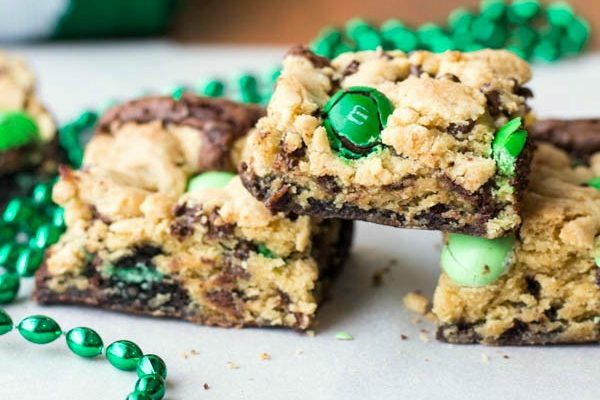 Cookies, Pancakes, Bars etc. I love putting fruit in everything!!! I will have to try this. Looks good. I have made something with these cookies, but can’t remember what it was. I love to make fruit wraps with fresh whipped cream and tortillas! Cobblers, Parfaits and Fruit Syrups. OK I am seriously in love with these. Nothing is better than banana pudding and in parfait form its even tastier! I love to use fruit in cobbler! 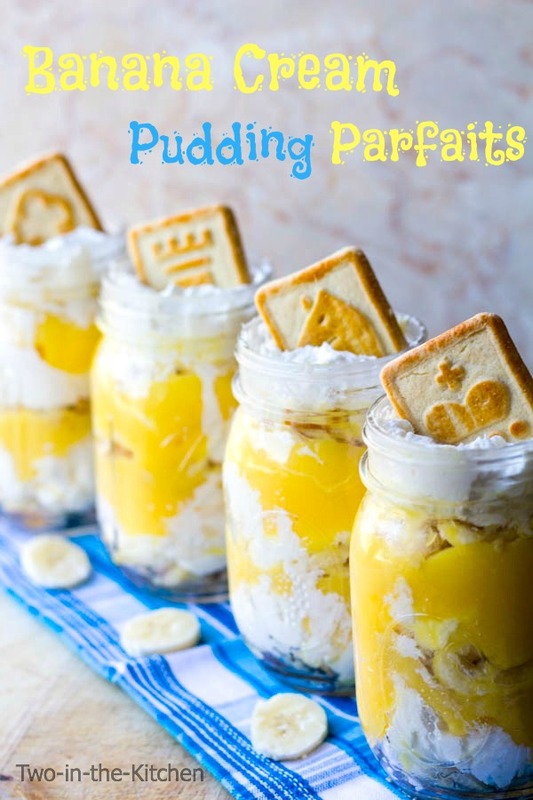 But I also love banana pudding and these parfaits looks fabulous! I am so ready for a good cobbler right now with the approach of summer! What a fun giveaway! My favorite way to have fruit – covered in chocolate!! Or mixed up in a salad. Two different ways but love them both! What gorgeous parfaits! Thanks Chelsea! I am with you on the fruit dipped in chocolate for sure! I usually get my fruits in breakfast foods. In cereal, smoothies, or just the way the earth made em! I love fruit in everything! eat an orange and pineapple slices.Cottage cheese with peaches for lunch and tomato. 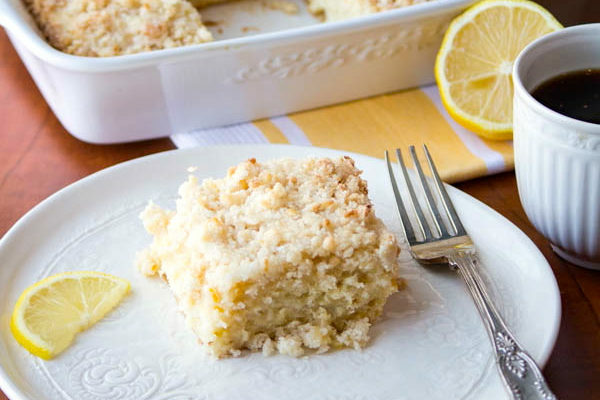 My Favorite ways to introduce fruit in my recipes are~~ Jello recipes~~ Cake Recipes ~~ & Pastrie recipes…..
Fruit in pies and crumbles are definitely my favorite! Always love making desserts with fruit in them. Mainly I like to add pureed fruits and squashes to quick breads, make blueberry sauce for pancakes or add sliced bananas to pancakes before flipping. 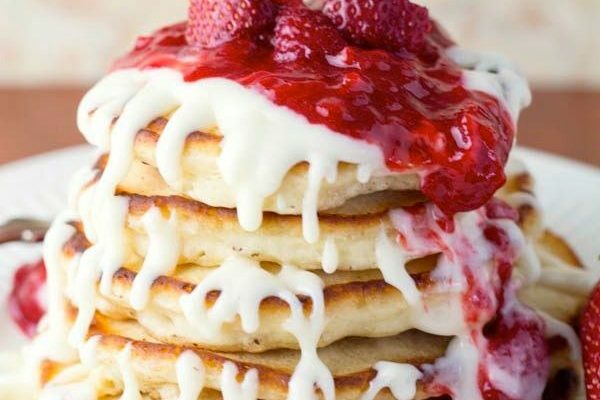 Blueberry sauce on pancakes sounds fabulous! Oh my. I am in love with your blog. Perhaps you wont mind but I will be venturing through all of your posts, because everything looks delicious. I love making a crumble out of fruit! With a oat topping. most fav way is for breakfast, with pancakes, yogurt, hot cereal. I love to put fresh fruit on top of everything from cereal to pound cake we can’t get enough! During the hotter months I have a fruit smoothie for breakfast just about every day. I also love using fruit in muffins, breads, pancakes and even salads. It’s fun to add fruit to unlikely dishes, like chicken stir fries! My favorite way to include fruit in recipes is to use cook it and use and a sauce! I love incorporating fruit into my deserts. LOVE your Banana Pudding recipe above, apple crisp is another of my faves…… Strawberry Shortcake cookies….. I love it all! Thanks so much and I am going to make your banana recipe above! Thanks so much for the compliments Melissa! I love the idea of strawberry Shortcake Cookies!! I always keep organic frozen blueberries on hand to use in protein shakes, cereals, and pancakes. That is a great plan!! I love to mix berries into salads, dessert, marinating chicken, anything really! I usually only eat fruit during breakfast in yogurt or as a snack. What is my favorite way to include fruit in recipes? Cook them in (pies, cobblers etc). Cover them (with chocolate, cream, sauce etc). Strawberries in strawberry shortcake, blueberries in pancakes and apples in apple crisp. Fruit is great cooked with ham and chicken, baked or in good old pie recipes! My favorite way to include fruit in my recipes is to just fold it in! Rather like with spinach, fruit just goes right in and becomes part of the dish. My favorite way to include fruit in recipes is usually a smoothie, but I also like to use fruit for cobblers. I think we primarily include them in desserts. I love bananas foster apple crisp,blackberry or blueberry cobbler. We also make fruit smoothies daily. I love fruit! Fruit cobblers, fruit salad and fruit jellies are my favorites. Keeping my fingers crossed that I win this giveaway. My favorite way to include fruit in recipes is naturally as a dessert. However, I am becoming more fond of cooking with fruits. I have made grilled pineapple slices and grilled peach halves that were fabulous!! I have baked pork roast with apples, and made chicken stuffed with quartered lemon, and they were wonderful. I have also been using more fruit juice marinades. The flavor is incredible!! My son loves fruit of any kind! We like to make fruit smoothies and tarts! I love adding fruit to salads, oatmeal, yogurt, and cereals! When I have a lot of extra fruit or it is getting ready to go, I will cook it up for a fruit compote jam. The obvious answer..desserts and breads! But I recently discovered fruit and cheese quesadillas, apple and cheddar, pear and havarti…yum! My two favorite ways to use fruit in recipes are to make cobblers (the fruits you can use are endless) and make homemade ice cream (again, endless choices). I add fruits to my yogurt. Thank-You for the giveaway~love Harry and Davids pears. I liked the banana parfait, what a great idea! And the portions are great! You have made these parfaits look absolutely stunning! I especially love the cookies touch. My dad has worked at Pepperidge Farm for over 40 years now. We grew up with having these cookies and all of their other treats. Thank you for including them! Also, what a great giveaway…. I love having fruit in a pudding parfait just like you made this one! Thank you Julie!! The cookies really are quite addicting!! These parfaits look so good. I use fruit any time I can, fruit salads , and apple crisp are my favorites. Hi! My favorite way to include fruits in recipes is within bread. Banana bread, blueberry bread, raisin bread, and on and on. lol Yummy! Thank-you! 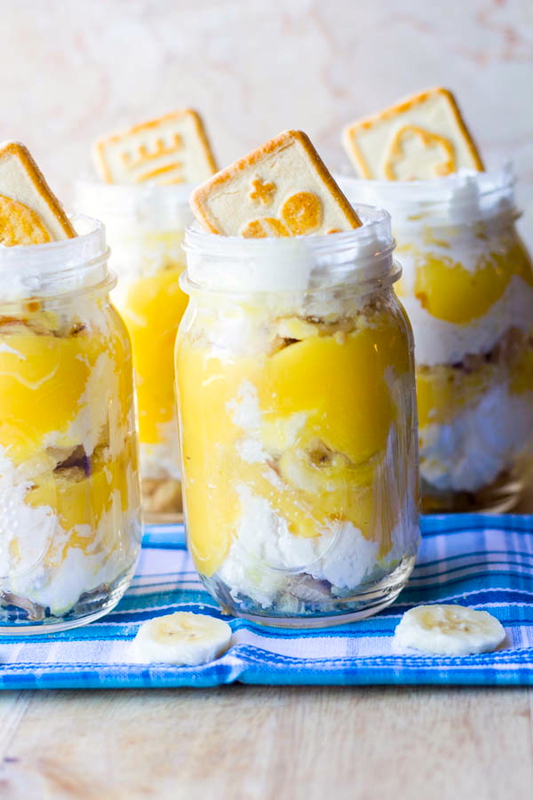 OH those banana cream pudding parfaits look amazing! I like to add fruit to my yogurt and oatmeal! I love fruit on salads! I have not had banana pudding in ages! I love the addition of the Chessmen Cookies, they look so fancy. 😉 I love to top my pancakes and waffles with fruit. I love cobblers and any fruit dipped in chocolate. I like to make crisps! I saved the recipe~sure looks good for Easter~along with the Harry and David Basket. When I was a kid my mom alway made fried fruit pies. They were great. That is a great childhood memory!! Love to include fruit in recipes as a main ingredient, especially smoothies! I like to make fruit desserts. 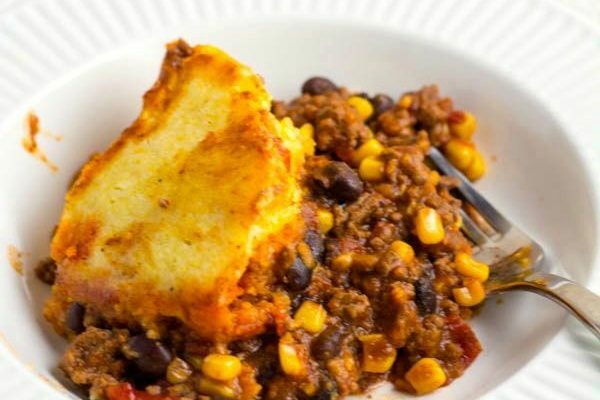 my favorite ways to cook with fruit are pies and cobblers.. sometimes i like to chop up mango, pinapple or peach and throw in in a homemade salsa. that is yummy! 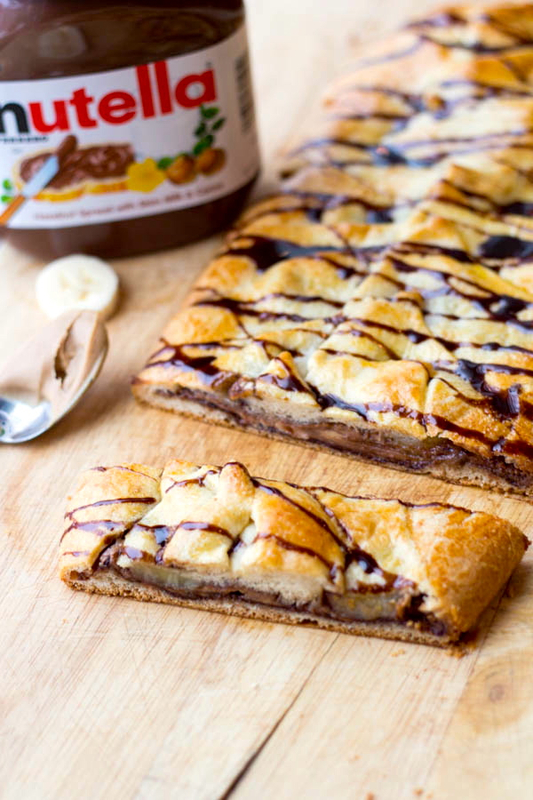 btw.. that nutella, eanut butter and banana breakfast braid looks divine! My kids love a bowl of fruit salad. My favorite would be on Belgian Waffles! I put bananas and pumpkin in pancake and breads. I love adding fresh fruit to my homemade Crepes! We enjoy our fruit as it is, if it’s added to anything it is usually in a pie form. I like to add fruit to my salads and we make alot of fruit smoothies. Fruit in jello, in cobblers or fruit salad. When I make cobblers and pies. Hi! We love to add fruit in our jellos, cereal and best of all in our drinks. (smoothies, shakes, and summer time fun cocktails). We use fruit in trifles, parfaits, salads and muffins. I mostly tend to make fruit compote with them and put it into almost everything I use unless I want the fruit added with out sweeteners. I like using fresh fruit as much as I can. 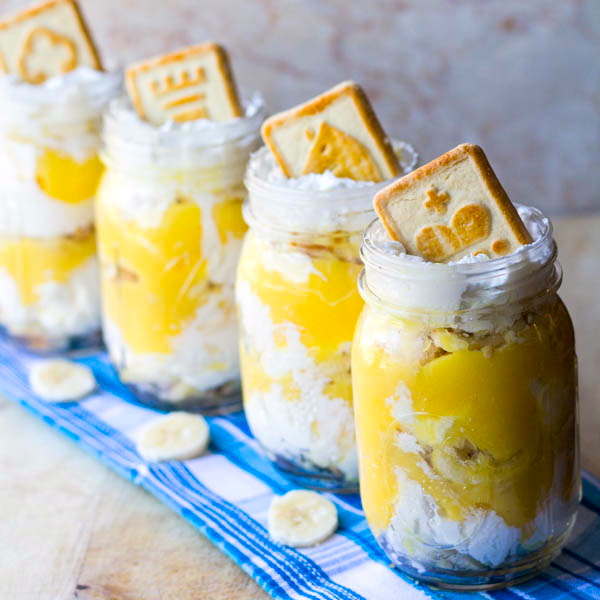 I think I will try this banana pudding parfaits soon. looks good. Thank you Judy, I hope you like it!! In any dessert I can think of pies, cakes, sundaes, ice cream shakes you name it I will add fresh fruit in it! 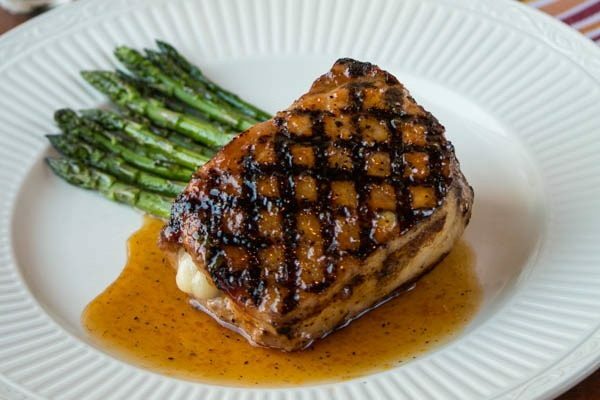 I love putting peach halves on pork chops then baking them. I add sour cherries and tart apples to holiday stuffing. I like to use fruit in or on pancakes. I love fresh baked fruit for dessert. I usually incorporate (pureed) fruits into breads for my picky eater and cobblers and smoothies for the rest of us. i love to incorporate fresh berries and bananas into pancakes or smoothies for my kids! I love using lots of fruit in smoothies! They are delicious and good for you! I LOVE fruit and am always coming up with ways to incorporate it into meals as well as snacks. It’s a great sweetener, adds flavor but no preservatives or processed sugar. I love making my own greek yogurt frozen pops. Just mix unsweetened plain greek yogurt, blend in berries, bananas or any fruit of choice. Then pour into dixie cup and place a wooden ice cream stick in the middle, place in the freezer until frozen. Makes for a great snack and low calorie and healthy. Banana Pudding is a southern classic, looooove it so much. I love putting fruit in my cereal. Bananas in Rice Krispies is the best!!! I add fruit to a lot of my dishes – as toppings, stirred into oatmeal,etc. I like to include fruit purees in baked goods! I love adding fruit for a garnish! I use fresh fruit as much as possible but will also use frozen fruit. We love fruit salad and I add carambola from my tree. I like to use fruit in sauces and fillings. I like fruit in smoothies, cake and cookies. Cobbler, pie, cookies, Bars, love fruit! I don’t just eat it fresh! I like pies and crisps a lot. Though I mainly eat my fruit raw, out of hand. Love to make fresh fruit cobblers. Even freeze the fruit for later use when it is out of season. I like the looks of both the Bananas Foster French Toast and the Banana Pudding Parfait. as topping or fillings for pancakes or crepes! I like a fresh fruit pizza. I live on a farm and grow lots of different fruits. I use these fruits as often as I can. They are so good fresh. I like to make cobblers and in the summer we eat a lot of fruit salads. Oh, that does sound good!! I’m actually a lover of fresh fruit… but I do love to freeze bananas and blend them to make “ice cream”! Thanks for the giveaway! My 10 year old son has been creating edible art using fruit and skewers. I love them! I love fruit with dutch babies. I like making bars with different fruits, depending on what’s in season! Thanks! I love to add fruit to my salads. I like strawberries in strawberry shortcake! I love fruit so I add it as a side with dinner, or we use it to make smoothies. I also love to eat Strawberries with angel food cake and whipped topping. so good!! I like peaches with sausages. I like apples with pork. I like to cut up fruit & put it in my lettuce salad. I like to include fruit in pancakes or pies. I like to add fruits to my salads. I will add either apples, strawberries or mangoes. I like using applesauce to replace oil in cake recipes. Pound cake waffles with strawberries and bananas topped with whipped cream and strawberry syrup. I love to add fruit to salad. I USE FRESH FRUITS IN PIES AND PIZZAS. We love fruit in our household! We cut it up and enjoy it as a dessert or as a treat any time. Usually in desserts or salads, but occasionally in main dishes, or in pancakes. I also make green smoothies. Such a pretty gift basket! 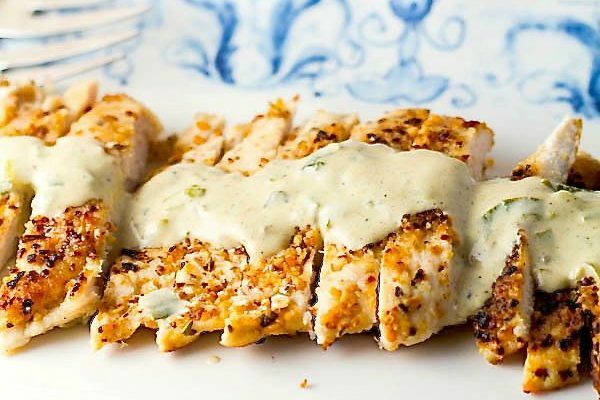 I love the way you’ve enhanced the old recipe I also loved and the presentation is inspired. Will definetly be using this idea. Thank You. Fruit is beautiful and sweet so I love topping desserts with fruit or blending fruit to make a filling. I make awesome heart shaped strawberries for my boys covered in chocolate and homemade raspberry jam. My husband will love these! I may doctor them and make it with coconut cream since I have a banana allergy. These are darling! I love fresh fruit salad! 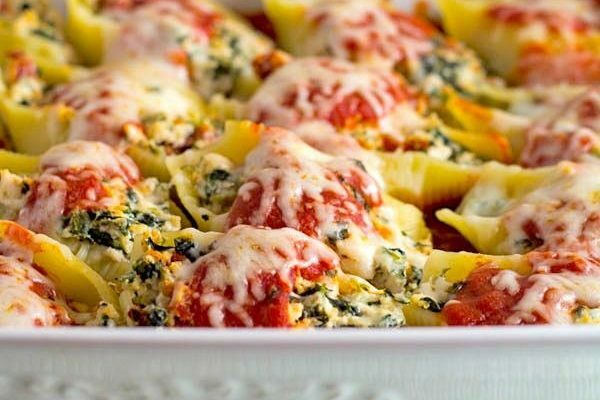 I love anything with cream cheese, thank you for posting a delicious recipe! My favorite way to use fruit is in a salad along with veggies and some type of nut or seed. I love adding fruit to smoothies…I use almond milk and some kind of frozen fruit with sweetner and 2 T of oat bran. YUM!!! So filling! I just eat the fruit itself as a meal.. or add it to whatever protein I am eating. I like to use fruit in cobblers and parfaits…yum! Pies, cobblers, crisps. Love fruit! Breads, juicing, doughnuts, fritters, cereal, salads! I love using fresh jams and jellies! I also love making fresh fruit smoothies! I like to bake pies or cobblers. I love fruit in pretty much anything! Recently I made some fruit sugar cookie cups that I love! 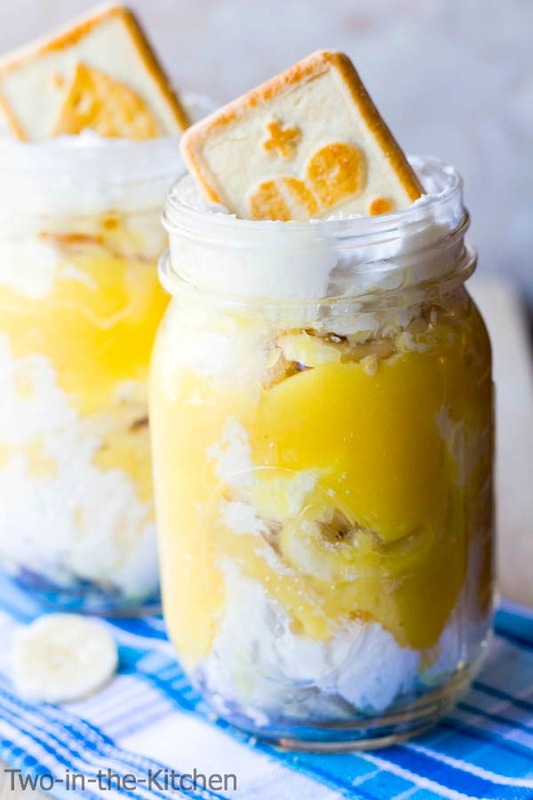 And these banana cream pudding parfaits look awesome – I love banana! Thanks so much Lindsay! fruit sugar cookie cups sound amazing!! Call me a hipster, but I love desserts in jars – looks great! I use fruit in desserts, salads, as a topping to chicken or pork. I love frozen fruit. So great for a summer treat.